Caffe Club is an informal association of members who love coffee and want to be part of a group of people who have similar interest in coffee. 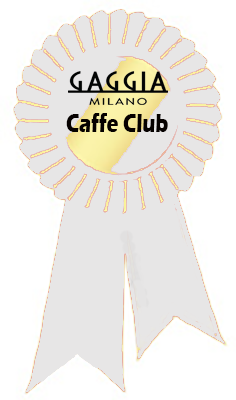 As a Gaggia user you can benefit from being part of the caffe club. By acquiring a GAGGIA Coffee machine from GAGGIA UK [Caffe Shop Ltd] or our Gaggia shops. You will be entitled to become a Silver Caffe Club Member when you purchase a machine from us. By buying a Caffe Club Membership Package (Silver or Gold) which allows you varying benefits of the Caffe Club. Membership is for a period of 1 year and is renewable. Some benefits are free to all members and others are discounted for members. We hope by joining the club you will benefit from our experience and our members experiences. We hope you will take advantage of your membership.Keep enjoying using your machine and enjoy the coffee. When you have purchased the membership you will receive the discount code and other details of your benefits. Q. Why Should I become a member ? A. to be part of a community of coffee lovers and learn more about coffee. You also benefit from discounts, training courses, extended warranties and help and advice. Q.Can I trial it for a short period ? A. Yes you can. We now have a monthly subscription. You will have limited benefits but it will still give you some of the basic benefits. Continuing with the membership opens up benefits like the extended warranty on your machines. Q.How do I cancel the membership ? A. Email us to let us know or cancel the direct debit instruction. As simple as that. ​When you have purchased the membership you will receive the discount code and other details of your benefits.